We will be selling Desserts again this year at the Knights of Columbus Fish Frys. The money we make will go to Youth Activities (NCYC, Rallies, retreats, conferences etc for all ages). Desserts will be sold for $1.00. You may precut/pre-plate/prepackage your dessert in dollar portions or we can. 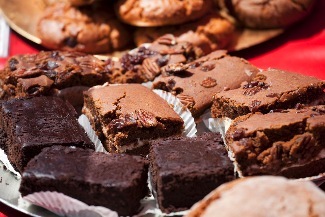 Desserts that sell well are pies, cakes with frosting, ooey gooey brownies/bars. You may bring your desserts in any time during the day on Friday. Please sign up to work and/or bring deserts so we know we have enough workers and desserts.